After Saturday’s neck-and-neck 1–0 loss for the No. 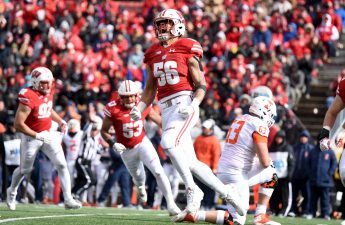 1 Badgers, Sunday’s edition of the Border Battle rivalry proved to be a different narrative. Wisconsin (9-1-0, 3-1-0-0 WCHA) earned a convincing 4–1 victory over the No. 3 Minnesota Golden Gophers (7-2-1, 5-2-1-0 WCHA) to cap off a hard-fought weekend series at LaBahn Arena. Despite being outshot for the first time this season (31-29), Wisconsin was able to capitalize off its chances in the second and third periods to pull away from its Border Battle rival. It would not have been possible if not for Wisconsin goalie Kristen Campbell’s brave performance. Campbell recorded 30 saves, 18 of which came in the third period. “That was the most shots I’ve faced in my career here,” Campbell said of the third period barrage from Minnesota. 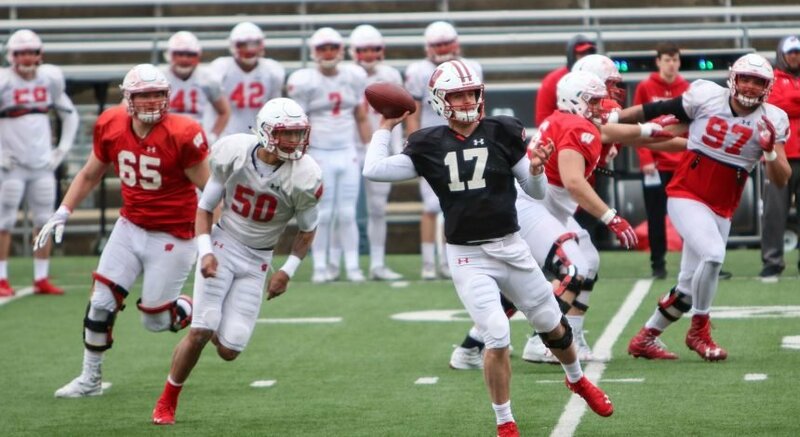 On offense, though, the Badgers were able to flip the script from Saturday’s showing. Freshman Sophie Shirley, sophomore Natalie Buchbinder, freshman Britta Curl and senior Annie Pankowski all scored for the Badgers. Senior defense Maddie Rolfes recorded a career-high three assists and a +3 plus/minus rating, helping the Badgers earn their ninth victory of the season. Shirley, last week’s WCHA Rookie of the Week, continued the impressive opening stretch to her Badger career, finding the net at the 15:43 mark in the first period for the game’s opening goal for her sixth score of the season. Minnesota answered quickly, controlling the tempo and possession for much of the period. Gopher freshman Emily Oden added a goal at the 2:25 mark, leaving the two sides tied 1–1 to close the first. The second period belonged to Wisconsin, who outshot Minnesota 14-5 in the frame. 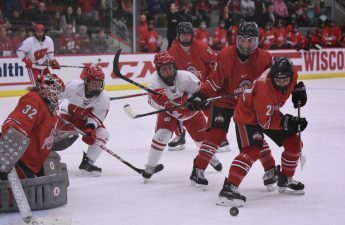 In what was a prolonged display of offense, however, the Badgers could only tally one goal: A top-shelf beauty off the stick of sophomore Natalie Buchbinder, who earned her second-career game-winning goal in the process. Defending a 2–1 advantage heading into the third period, Campbell came out knowing what to expect from the No. 3 ranked team in the country. Campbell’s ability and the Wisconsin back-line to sustain the Gopher attack in the third proved to be the difference in the game. 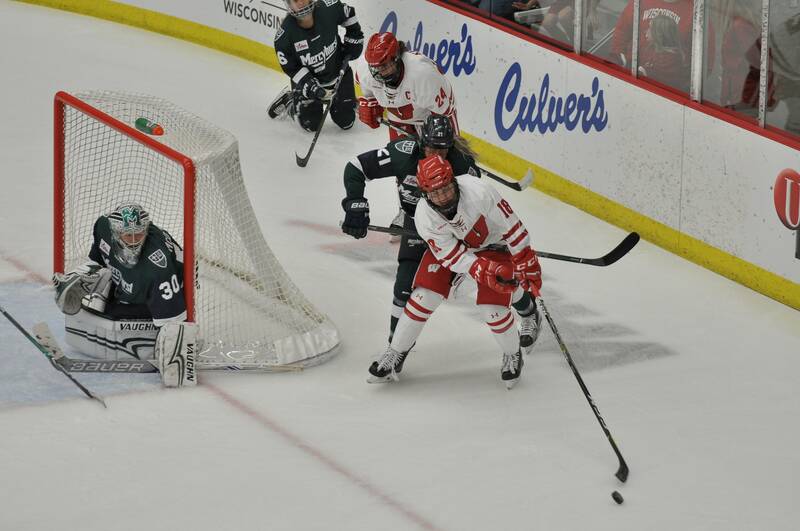 The Badgers were able to add a third goal off the stick of Britta Curl with 5:16 to go, followed by an empty-net goal from Pankowski to close the contest. Head coach Mark Johnson credited the team for how they responded to their first loss of the season. For Campbell, though, it was all about her teammates. Up next for the Badgers: A trip to Mankato, Minnesota for a weekend against Minnesota State. Puck drops Friday at 6 p.m.